Rick Rude and Nikita Koloff attended the same high school. Rick Rude worked as a bouncer at Gramma B’s in Minneapolis before he was discovered, working with the Road Warriors and Barry Darsow. Rick Rude was trained by Eddie Sharkey, who also trained the Road Warriors, Barry Darsow, and Nikita Koloff. Rick Rude started wrestling on the small circuits in Minnesota and Canada. Rick Rude moved on to the Mid-South territory in 1984 and paired up with manager, Jimmy Hart, as part of the “First Family” stable. 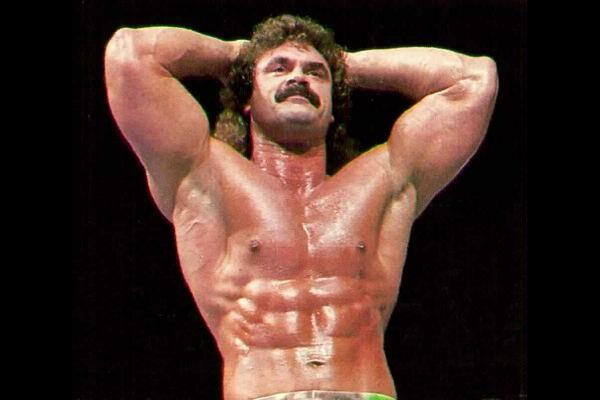 Rick Rude was given the name “Ravishing” by Memphis promoter Jerry Jarret. Rick Rude had some great matches with Mid-South stars like Austin Idol, and a brief feud with Jerry Lawler. Rick Rude saw some success by winning the Southern tag team championship with King Kong Bundy. Rick Rude moved on to Florida in early-1985, where he paired up with manager, Percy Pringle. Rick Rude simply dominated the Florida territory for nearly a year, winning the heavyweight and tag titles on more than one occasion. October 1985: Rick Rude and Percy Pringle moved on to the Fritz Von Erich territory, World Class Championship Wrestling. Rick Rude quickly won the American Heavyweight title. Rick Rude was declared the first WCCW Heavyweight champion when the NWA withdrew sanctions from World Class. Rick Rude, for a time, was managed by his sister Raven in the World Class promotion. July 1986: Rick Rude lost the WCCW title to Chris Adams. Rick Rude moved onto the National Wrestling Alliance. Rick Rude re-kindled his feud with Wahoo McDaniel, which was started in Florida years earlier. 1987: Rick Rude teamed with Manny Fernandez to win the NWA World tag team titles. February 15, 1987–MoscaMania 2: Rick Rude and Manny Fernandez defeated Ricky Morton and Bob Armstrong in Hamilton, Ontario. Rick Rude still held half of the NWA tag titles when he signed with the WWF. ~~~The NWA later claimed that the Rock ‘n’ Roll Express regained those titles in a match that never actually took place. July 9, 1987: Jerry Allen pinned Rick Rude with a sunset flip in Rick Rude’s WWF debut match. July 1987 – TV Taping (aired August 9, 1987): Rick Rude w/ Bobby Heenan pinned Lanny Poffo (Rude’s TV debut). ~~~”Ravishing” Rick Rude would do his routine of beating his opponent and then kissing a female audience member. Rick Rude started a feud with Jake Roberts, after Rude propositioning his wife, Cheryl Roberts, who was sitting at ringside. January 1989: Rick Rude began a feud with the Ultimate Warrior, attacking the Warrior during a “posedown” challenge. Wrestlemania V: Rick Rude defeated the Ultimate Warrior for the Intercontinental title. August 1989: Rick Rude drops the Intercontinental title back to the Warrior. SummerSlam ’90: Rick Rude challenged Ultimate Warrior (WWF Champion) in a cage match for the title, and lost. October 1990: Rick Rude and the WWF had a dispute, and Rude went packing down to WCW. October 27, 1991 – Halloween Havoc: Rude returned, wearing a mask going as the WCW Phantum, revealing himself after defeating Tom Zenk. ~~~Rude was managed by Paul Dangerously, who called Rude the “cornerstone” of the Dangerous Alliance. Beach Blast: Rick Rude competed in an Iron Man Match with Rickey Steamboat. August 12, 1992: Masa Chono defeated Rick Rude in a tournament final for the NWA Heavyweight Wrestling title. Rick Rude began a feud with NWA World champion, Ric Flair. May 15, 1993 – WCW WorldWide: Rick Rude defeated Dustin Rhodes to win the WCW United States title. May 23, 1993 – WCW Slamboree: Paul Orndorff and Rick Rude defeated Dustin Rhodes and Kensuke Sasaki. June 17, 1993 – WCW Clash of the Champions: Big Van Vader, Rick Rude and Sid Vicious defeated Davey Boy Smith, Dustin Rhodes and Sting. July 18, 1993 – WCW Clash of the Champions: Rick Rude vs. Dustin Rhodes in a Iron man match for the WCW United States title ended in a 1-1 draw. August 18, 1993 – WCW Clash of the Champions: Dustin Rhodes and Road Warrior Hawk defeated Rick Rude and The Equalizer. August 28, 1993 – WCW Saturday Night: Rick Rude defeated Dustin Rhodes in the #2 match of the best of 3 series. September 4, 1993 – WCW Worldwide: Rick Rude defeated Rico Federico. September 4, 1993 – WCW Saturday Night: Dustin Rhodes defeated Rick Rude in the 3rd match of the best of 3 series. September 11, 1993 – WCW Saturday Night: Dustin Rhodes defeated Rick Rude to win the vacant WCW United States title in the final match of the best of 3 series. September 19, 1993 – WCW Fall Brawl: Rick Rude defeated Ric Flair for the NWA World Title. Shortly after, WCW withdrew from the NWA and the title that Rude held was renamed the “WCW International title”. October 16, 1993 – WCW Saturday Night: WCW International world heavyweight champion Rick Rude defeated TA McCoy to retain the title. October 23, 1993 – WCW Saturday Night: WCW International world heavyweight champion Rick Rude defeated Brad Anderson to retain the title. October 24, 1993 – WCW Halloween Havoc: Rick Rude defeated Ric Flair by disqualification. Terry Taylor was the special referee. November 6, 1993 – WCW Worldwide: Rick Rude defeated Frankie Rose. November 10, 1993 – WCW Clash of The Champions: Rick Rude vs. Road Warrior Hawk ended in a double count-out. November 20, 1993 – WCW Battle Bowl: Rick Rude and Shanghai Pierce defeated Marcus Alexander Bagwell and Tex Slazenger. November 27, 1993 – WCW Worldwide: Rick Rude defeated Rick Hardrock. December 18, 1993 – WCW Worldwide: Rick Rude defeated Kenny Kendall. December 25, 1993 – WCW Worldwide: Rick Rude defeated Frankie Lancanster. December 27, 1993 – WCW Starrcade: WCW International world heavyweight champion Rick Rude defeated The Boss to retain the title. January 3, 1994 – Main Event: Rick Rude and Steve Austin defeated Dustin Rhodes and Brian Pillman. January 10, 1994 – WCW Saturday Night: Ric Flair, Sting and The Boss defeated Rick Rude, Ron Simmons and Steve Austin. January 22, 1994 – WCW Worldwide: Paul Orndorff, Rick Rude and Steve Austin defeated Brad Armstrong, Frankie Lancaster and Mark Starr. January 27, 1994 – WCW Clash of The Champions: Ric Flair and Sting defeated Rick Rude and Vader in a tag team elimination match. February 1, 1994 – WCW Saturday Night: WCW International world heavyweight champion Rick Rude defeated Johnny B. Badd to retain the title. 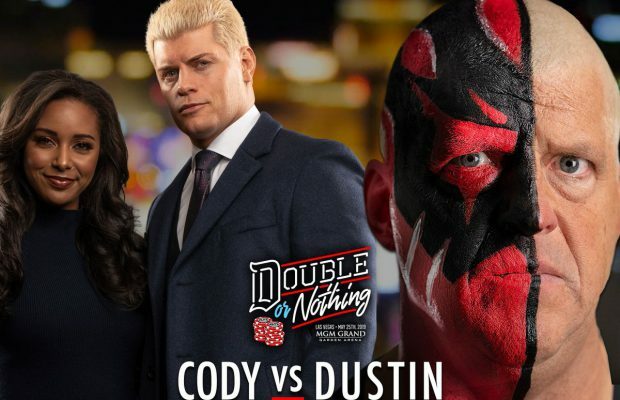 February 20, 1994 – WCW SuperBrawl IV: Dustin Rhodes, Flyin’ Brian and Sting defeated Paul Orndorff, Rick Rude and Steve Austin in a Thunder Cage match. February 22, 1994 – WCW Saturday Night: WCW International world heavyweight champion Rick Rude defeated Dave Heart to retain the title. February 26, 1994 – WCW Worldwide: WCW International world heavyweight champion Rick Rude defeated Marcus Alexander Bagwell to retain the title. February 28, 1994 – WCW Saturday Night: WCW International world heavyweight champion Rick Rude defeated Bill Payne to retain the title. March 3, 1994 – WCW Power Hour: WCW International world heavyweight champion Rick Rude defeated Marcus Alexander Bagwell to retain the title. March 16, 1994 – NJPW: Hiroshi Hase defeated Rick Rude to win the WCW International world heavyweight title. March 18, 1994 – NJPW: Hiroshi Hase, Masahiro Chono and Shinya Hashimoto defeated Rick Rude, Hercules Hernandez and Scott Norton. March 19, 1994 – NJPW: Hercules Hernandez, Scott Norton and Rick Rude defeated Osamu Kido, Riki Choshu and Tatsumi Fujinami. March 30, 1994 – NJPW: Jushin Thunder Liger and Hiroshi Hase defeated Rick Rude and Brian Blair. March 21, 1994 – NJPW: Rick Rude defeated Masahiro Chino. March 24, 1994 – NJPW: Rick Rude defeated Hiroshi Hase to win the WCW International world heavyweight title. Shinya Hashimoto defeated Rick Rude. April 9, 1994 – WCW House Show: Ricky Steamboat defeated WCW International world champion Rick Rude by disqualification. April 17, 1994 – WCW Spring Stampede: Sting defeated Rick Rude to win the WCW International world heavyweight title. April 21, 1994 – WCW Saturday Night: Rick Rude defeated Mark Starr to retain the WCW International world heavyweight title. 1994: Rick Rude vs Sting faced off and Rude suffered a neck and back injury that would put him on the shelf for quite some time. May 1, 1994 – NJPW: Rick Rude defeated Sting to win the WCW International world heavyweight title. May 14, 1994 – WCW Worldwide: Sting defeated Rick Rude in a I Quit Match. Rick Rude dissappeared out of the spotlight for two years, before showing up in ECW in 1996. Rick Rude’s Goal: To make Shane Douglas’ life a living hell in the promotion. Rick Rude jumped ship to the WWF while still on the ECW roster. September 1997: Rick Rude made a return to the WWF as an “insurance” policy for Shawn Michaels and DX. November 17, 1997: Rick Rude made history by being the FIRST man to ever appear on WWF RAW and WCW Nitro on the same night. ~~~This was made possible because RAW, was taped 6 days earlier, and Nitro was live. November 1997: Rick Rude contacted Eric Bischoff, voicing his displeasure over the way Bret Hart was treated in the WWF. ~~~Considering the fact that Rude was paid per appearence, that meant he could go wherever he wanted. ~~~November 17th: Rick Rude appeared on the taped edition of RAW, with a beard. ~~~Just moments later, Rick Rude appeared on the live edition of WCW Monday Nitro, clean shaven! ~~~Rude was announced to the world as the newest member of the nWo. ~~~As soon as he was given a mic, he let loose on McMahon, and the WWF, by calling the federation the “Titanic”. ~~~From that day forward, the “Rick Rude” clause became a part of WWF contracts, so they’d never have that problem again. Rick Rude managed Curt Hennig while he was a member of the new World order. 1998: Rick Rude dissappeared from WCW once again. July 24, 1997 – ECW TV: Jerry Lawler, Rob Van Dam and Sabu vs. Rick Rude, The Sandman and Tommy Dreamer in a tag team cage match ended in a no contest. Rick Rude began training for his ultimate comeback to a WWF wrestling ring. Rick Rude was the only foreign talent to make the finals of G-1 Tournament in Japan. April 20, 1999: Rick Rude passed away after a heart attack at the age of 40. Rick Rude was survived by his wife, Michelle, and three children. March 31, 2017 – WWE Hall Of Fame: Rick Rude was inducted in the 2017 class of the WWE Hall Of Fame.